Pappy Howard and his Connecticut Kernels hosted a show that began around 1945 in the Cleveland, Ohio area. It was the WJW Barndance Jamboree. The show originated from the Masonic Auditorium in downtown Cleveland. 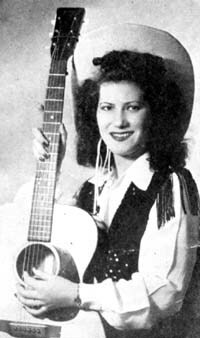 Cowboy Music World noted that the show's opening night was March 31, 1945 with Patsy Montana as the first guest star. The following week, Bonnie and Connie also from WLS were the guests. 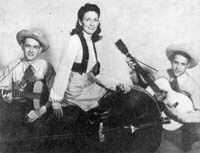 Tennessee Slim wrote a letter to Mountain Broadcast and Prairie Recorder in 1946 that indicated that his group had been on the show for a year, which would seem to indicate that would be about 1945. 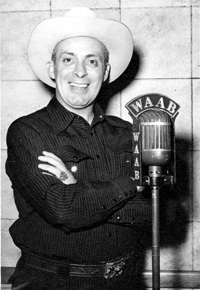 Slim's letter indicated he appeared on the Barndance Preview show from 2:00 to 2:30pm each Saturday. He indicated the show was broadcast over WJW from 9:30pm to 10:30pm each Saturday. 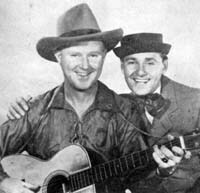 Pappy Howard's show included other artists such as Pappy's Connecticut Kernels, Ernie Benedict and the WGAR Range Riders, Pie Plant Pete and Bashful Harmonica Joe, Smiley and Sue, Cowboy Joe Dent, Fiddlin' Jay and his Saddle Busters, Sam Rich and his harmonica, and, the Wyoming Cowboys. A 1945 article indicated the show was performing five days a week. On Wednesday and Sunday, the show was staged at the Chippewa Lake ballrom. On Thursday, it aired from the Akron Armory. On alternate Thursdays, it would be at the Goodyear Auditorium. On Fridays, it was staged at the Odd Fellows Temple in Canton, Ohio. The Saturday shows at the Masonic Auditorium in Cleveland drew capacity crowds of around 2,500 people. The show would also feature stars making appearances locally. 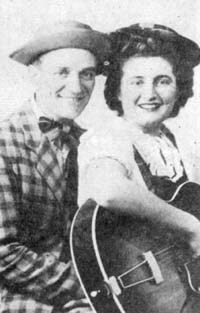 In 1945, folks such as Patsy Montana, Lulu Belle and Scotty, Elton Britt, and the Arkansas Woodchopper were scheduled to appear. A 1946 Billboard article tells us that the show was the top rated "Night Program - Week-End" in Cleveland. The WGAR Range Riders were ranked number 5 in the "Daytime Programs, Weekday" category. The Barn Dance Preview show was ranked the number 3 show in "Daytime Programs - Week-End". In fact, WJW had three of the top five in the "Individual Performers" category with Pappy Howard being number four. Howie Lund and Don Bell were ranked numbers two and three. Pappy Howard was named the number three "Male Vocalist" and Pie Plant Pete was number five. Tex Anne was the number two female vocalist; number one was Judy Dell, then appearing on WGAR.